Spacious downtown +1,300 sqf 4 bedroom / 2 bath condo w/ Parking, excellent downtown location. Close to PATH, buses and train as well as restaurants, shopping and parks. 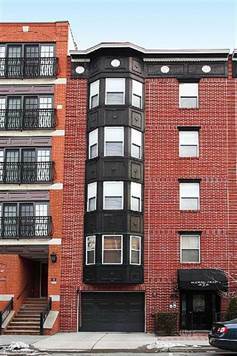 Hardwood floors throughout, spacious open living room and fully equipped kitchen, central heat, washer/dryer in unit. Common yard, dedicated storage unit and a garage parking spot included! Ideal for both roommates and families! Available for 07/01/2019 move in. Fees: Credit Check Fee & Rental Fee Paid by Tenant..